3CTEMP-USB Single-Use Temperature Data Logger - Marathon Products, Inc.
A single-use, pre-programmed, electronic temperature data recorder with LCD screen and built-in USB connectivity. 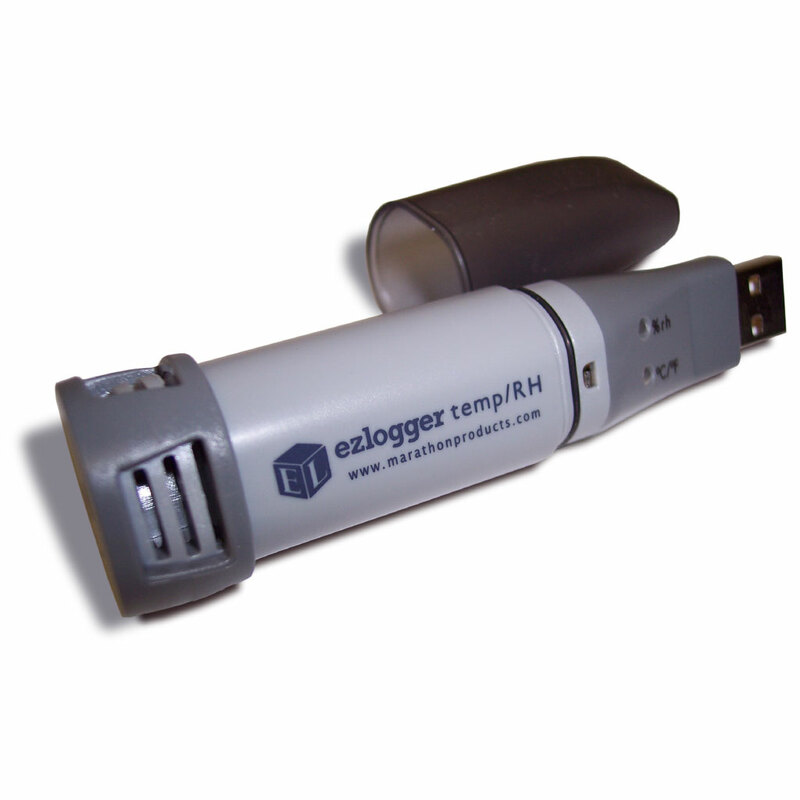 Single-use Temperature Logger with Real-Time LCD Display for Instant Acceptance or Quarantine Decisions. 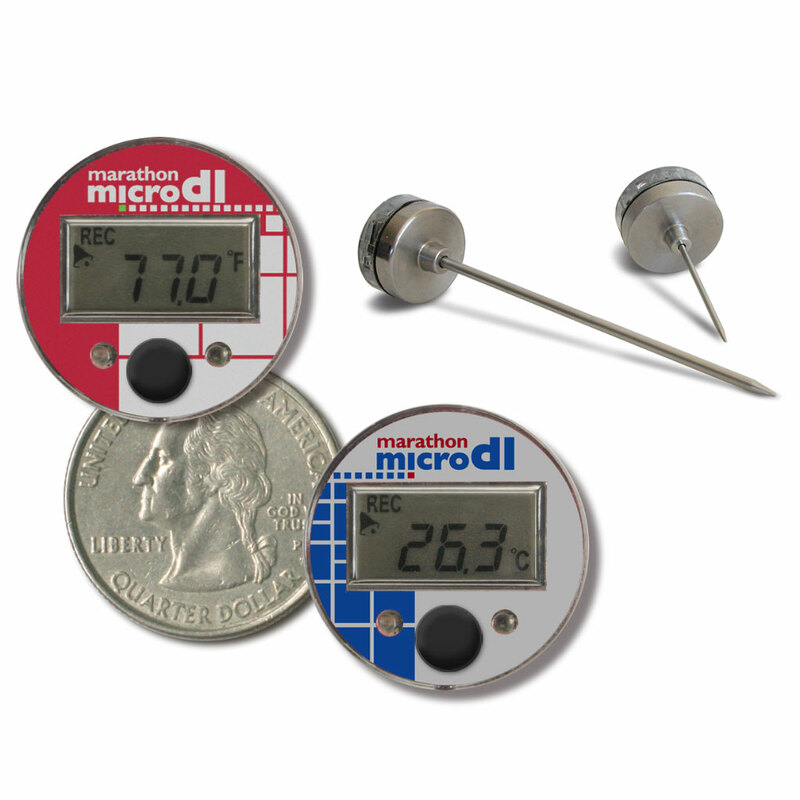 This revolutionary, single-use, pre-programmed, electronic temperature data recorder is specifically designed for measuring temperatures during the transportation of refrigerated vaccines, biological material, chemicals, pharmaceuticals, and for documenting the transportation of perishable commodities. They are NIST-Traceable and come with Certificates of Calibration. Internal Thermistor: accurately records time and temperatures for pre-set readings in Celsius or Fahrenheit. LCD display: Real-time viewing of Current temperature, Max/Min Temperature, Run Time, Alarm Status, and Recording Status. These units pack so many features in a small package. 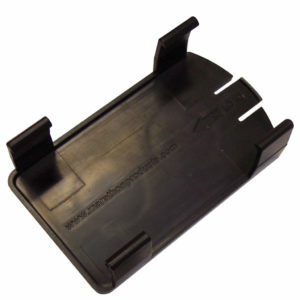 They have an extended battery life and can endure rough handling. The internal software records the following: start time, sampling intervals, alarm values, recording status, measurement data, software version, serial number, model type. 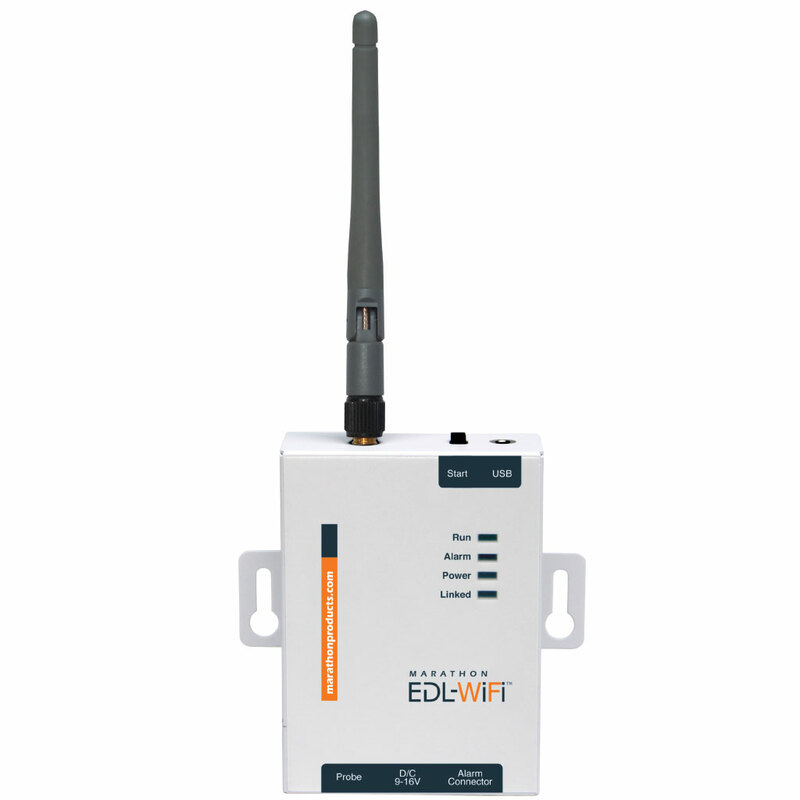 All our data loggers can be programmed with alarm limits. Should the temperature reach levels outside these limits, the LCD will display “ALARM.” To start the recorder, simply press the start button! 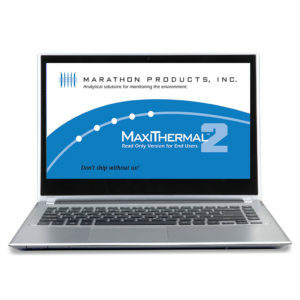 Marathon’s easy-to-use MaxiThermal2 software is available for Microsoft Windows XP, 7, 8, 8.1 & 10. Simply plug the unit into a standard USB port on your PC. 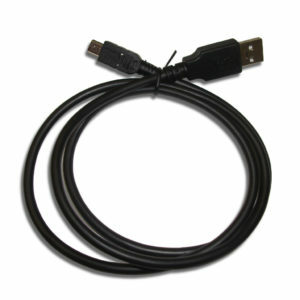 The Maxi-Thermal2 software and USB cable are required accessories and are sold separately. Logger Category, Description Category 2. Multi-Use. 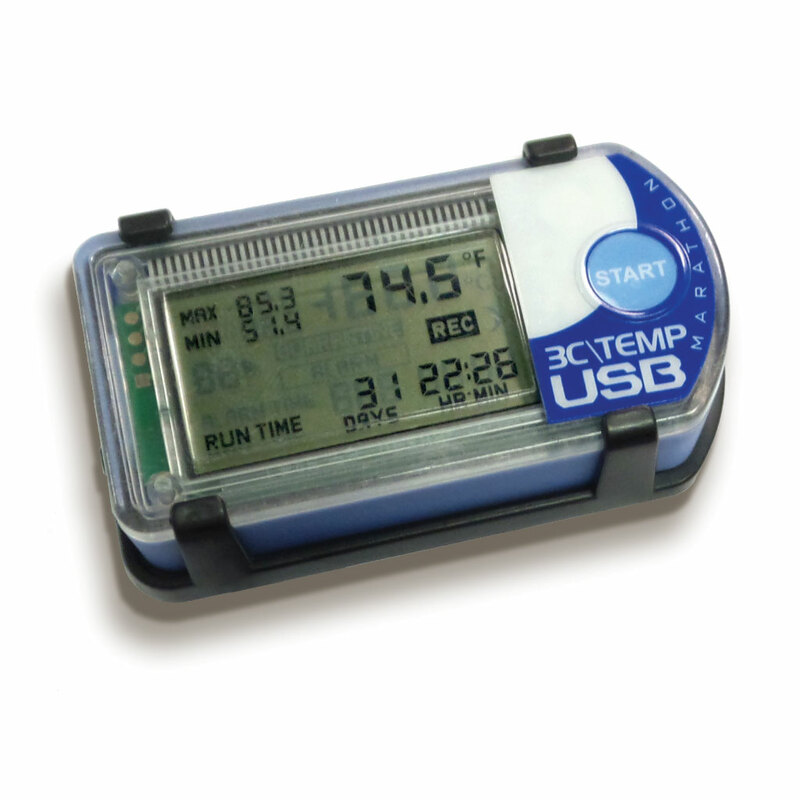 Temperature data logger with LCD screen, built-in Mini-USB connection, and a compact size. Alarm Programming Pre-programmed to your specifications. Also user configurable at any time before the logger has been started. High and low alarm limits can be set by temperature. MaxiThermal2 Software allows you to view up to 8 multiple traces at one time, enables you to transfer the recorded information in your loggers to your computer, and to view, print and generate a report of the measurement data. The graphic representations are a simple X – Y plot of time versus temperature with unlimited zoom. The graph and all data points (date, time and temperature) can be printed.